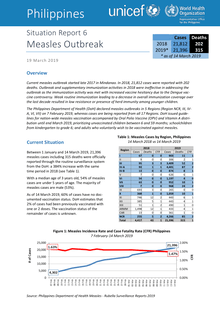 PALO, Leyte, Apr. 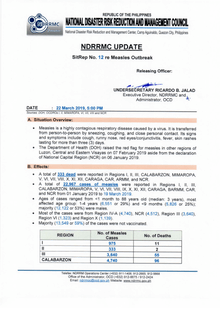 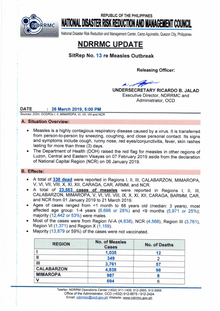 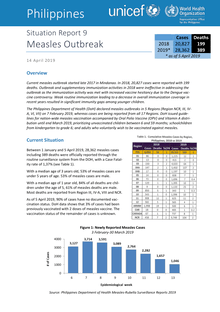 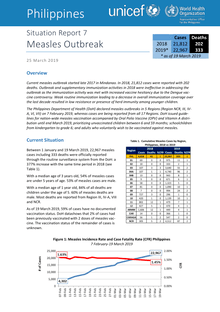 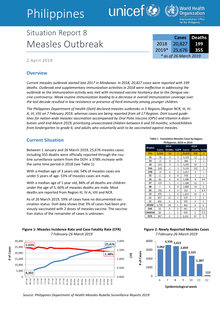 20 (PIA) -- Around 66 percent of municipalities in Eastern Visayas have no reported measles cases as of April 13 for the past 42 days for children from six to 59 months old, according to the recent report of the Department of Health-Regional Office 8 (DOH-8). 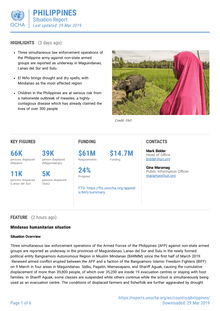 “Ninety-four out of 143 municipalities is a good number,” DOH-8 Regional Director Minerva Molon said in a press briefing here last April 15.